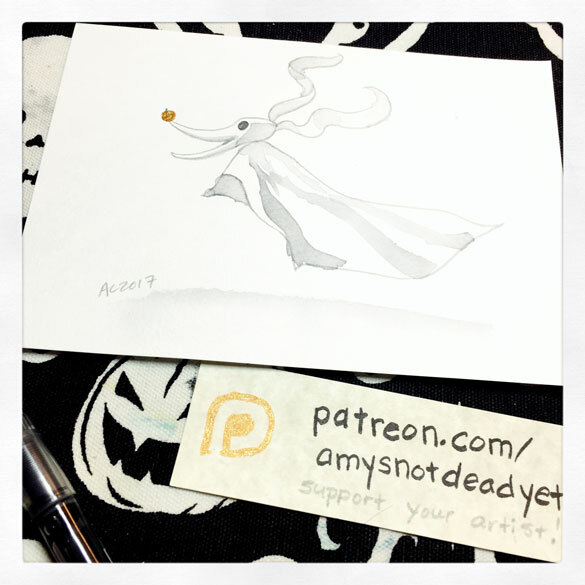 Inktober is over! 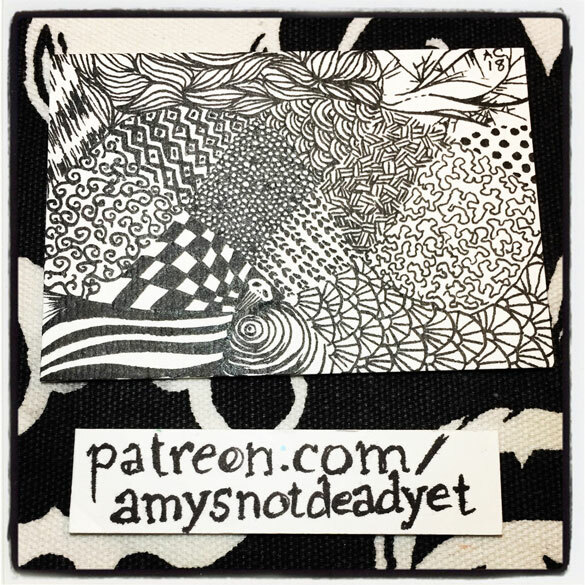 One ink drawing per day for the whole month, whew. 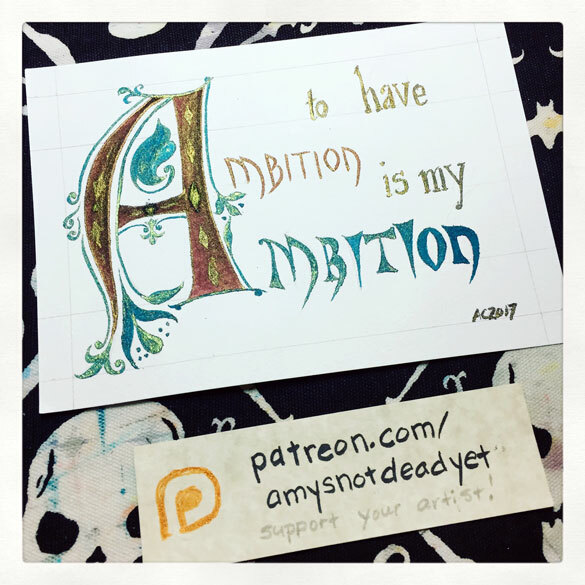 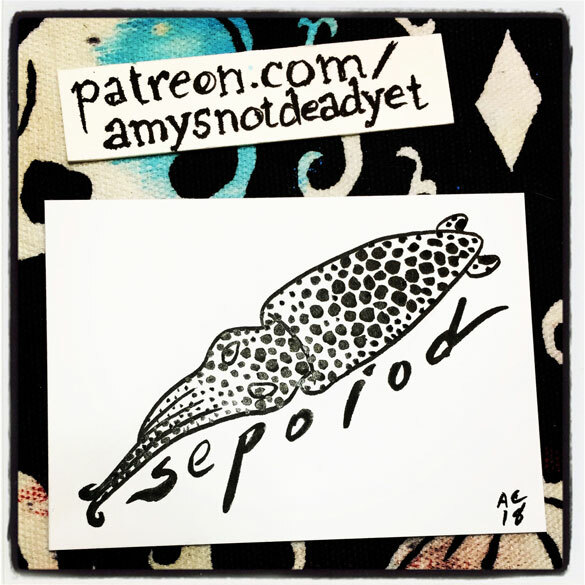 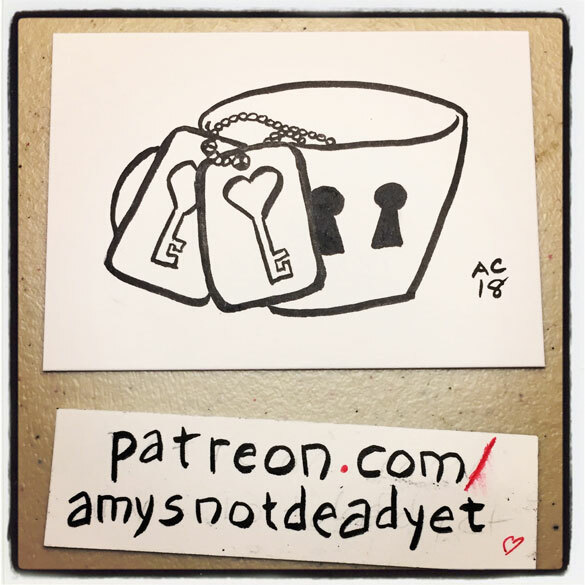 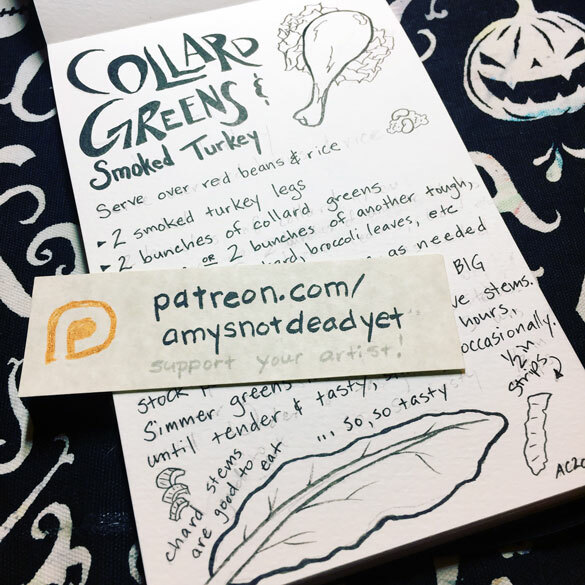 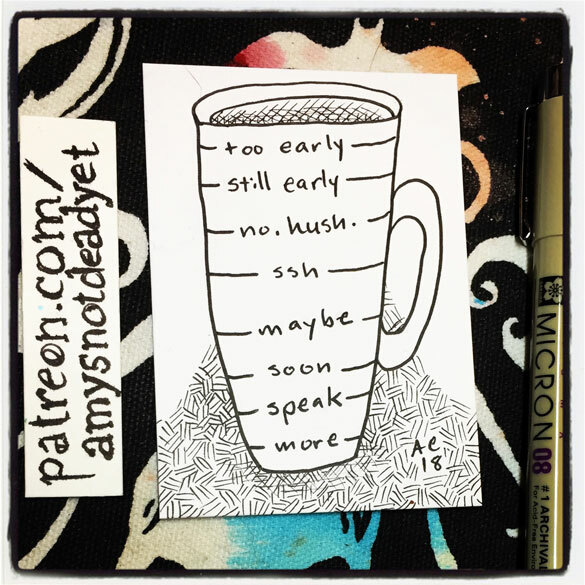 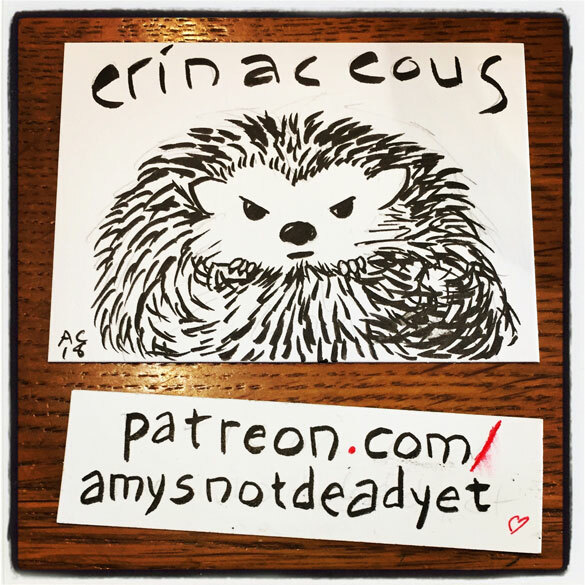 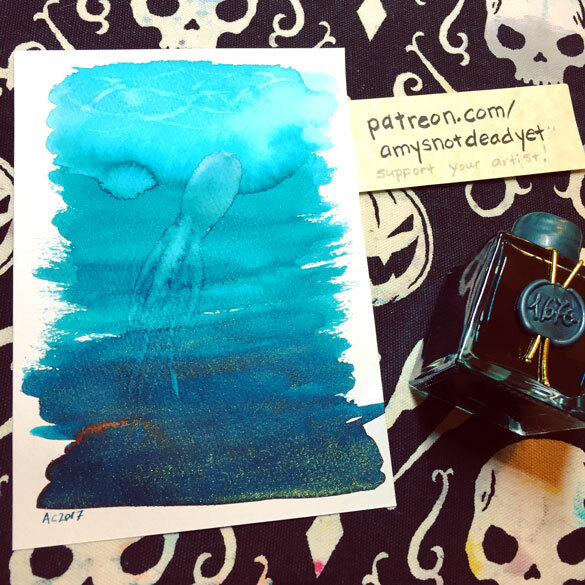 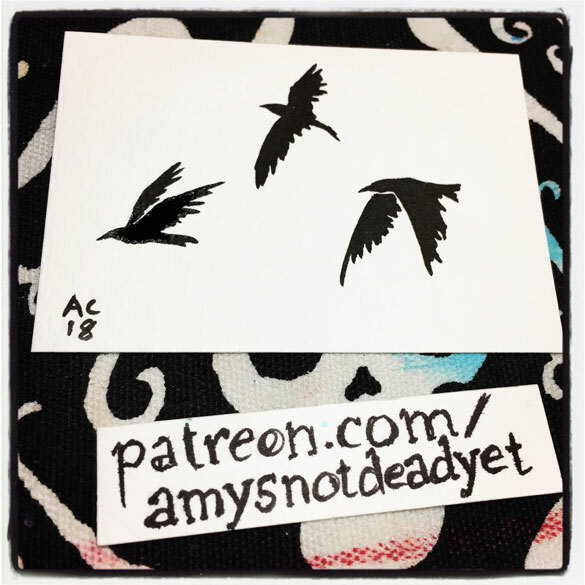 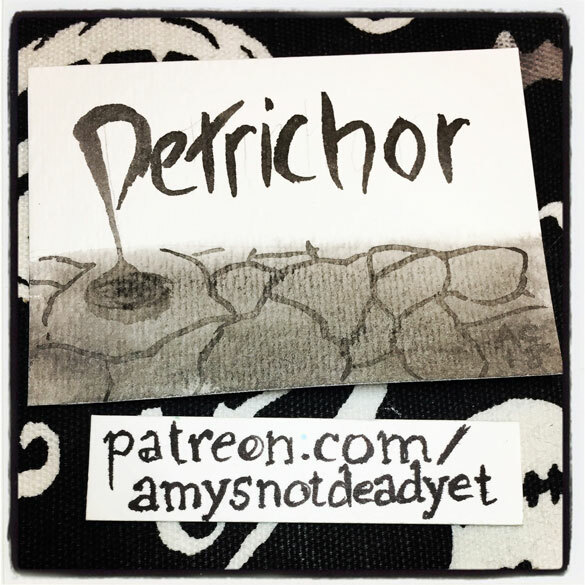 Today we’ve got the last 10 of these little 2.5″x3.5″ cards, and then on to NaNoWriMo we go! 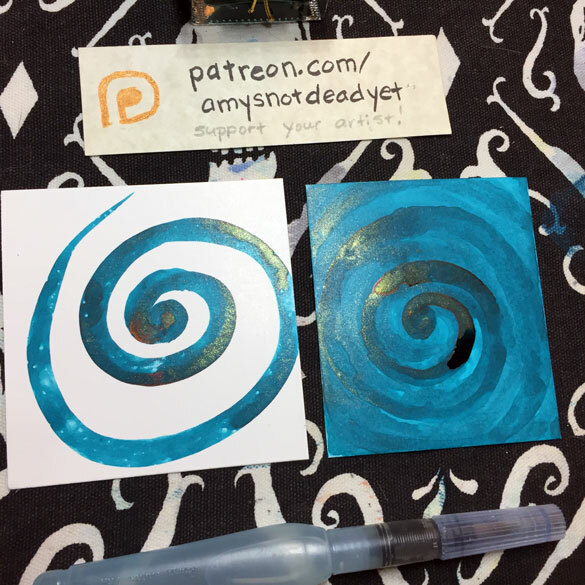 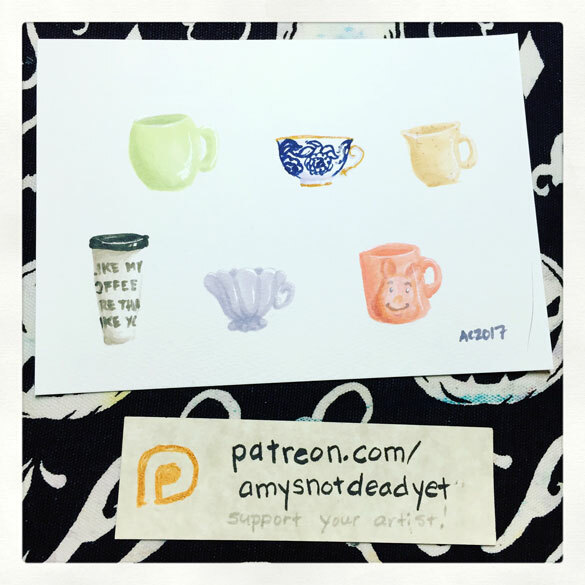 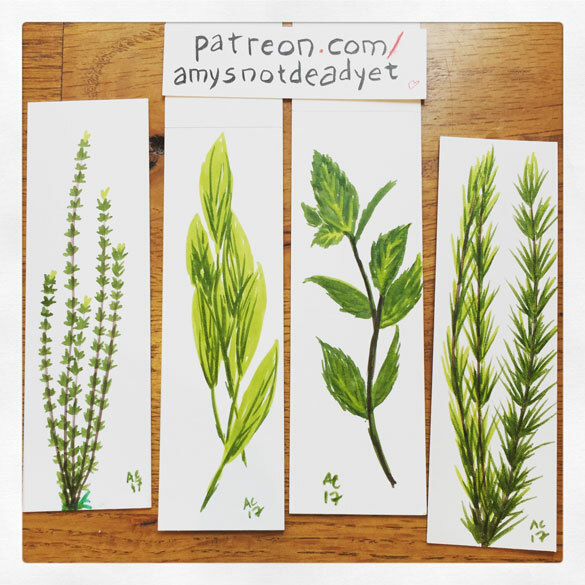 Support me on Patreon to see these first when they go up for sale! 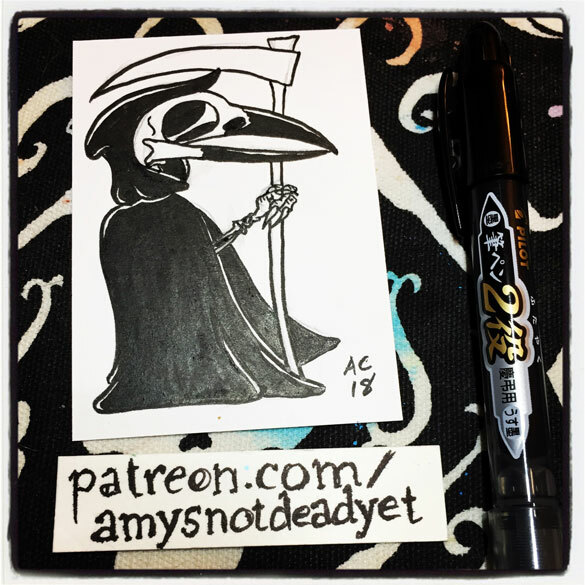 Inktober is still going! 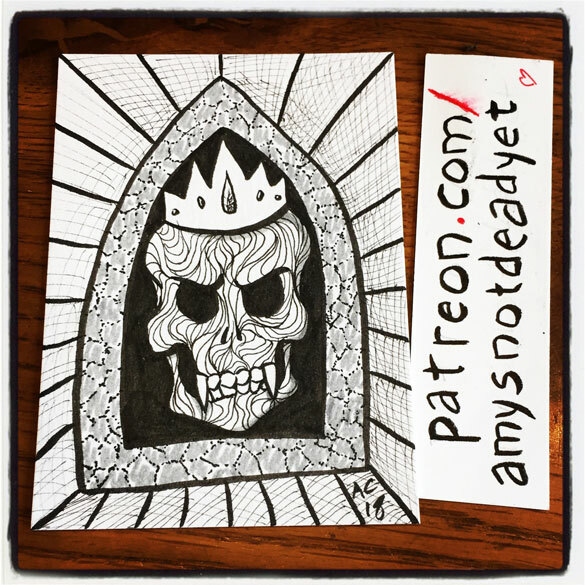 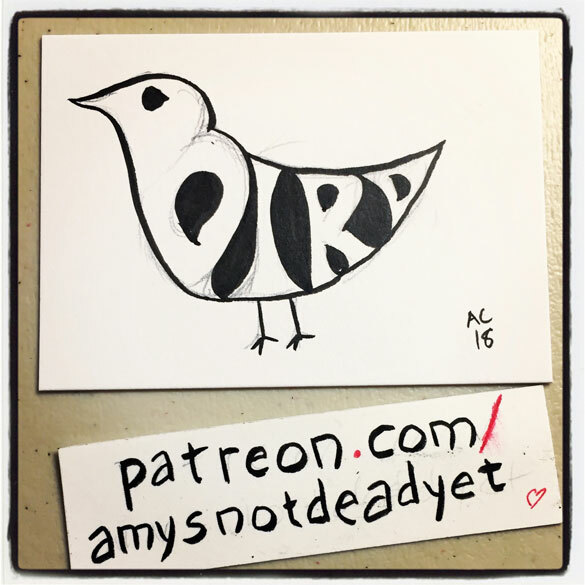 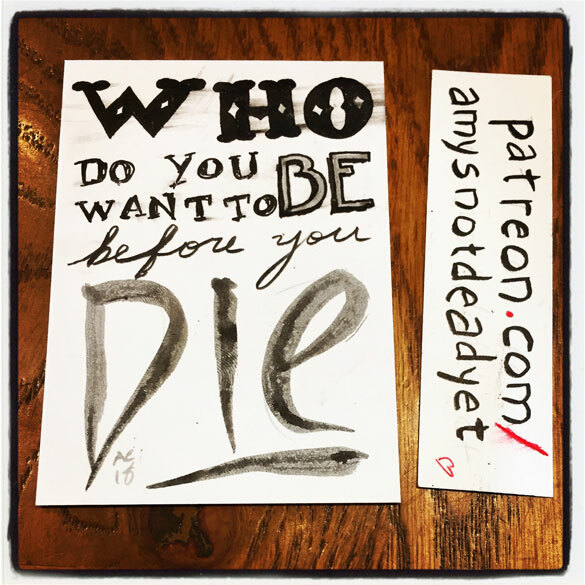 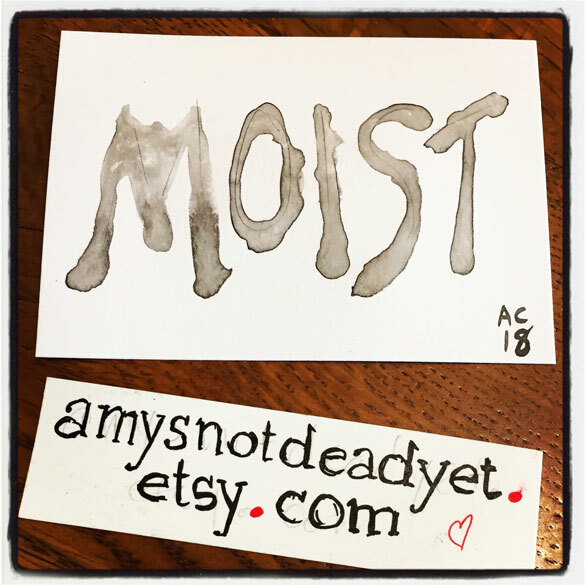 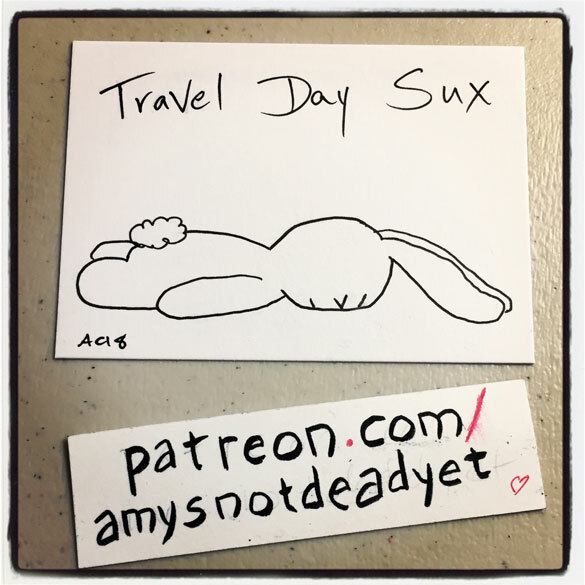 One ink drawing per day all month, often from prompts. 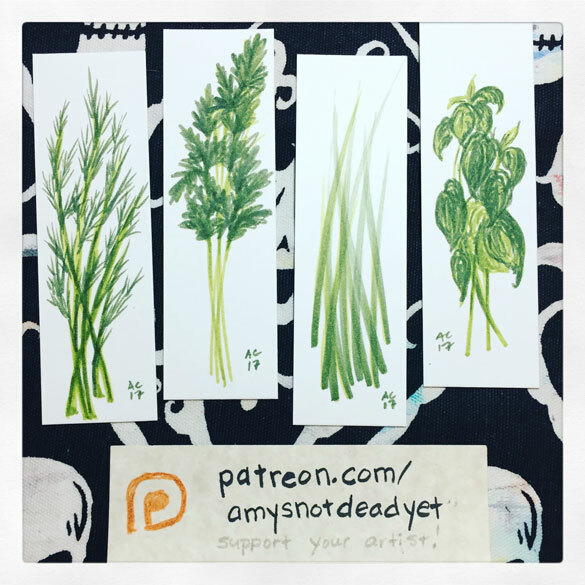 Also still late with these recaps, so here’s week 3 of these little 2.5″x3.5″ cards, most of which were done while visiting family. 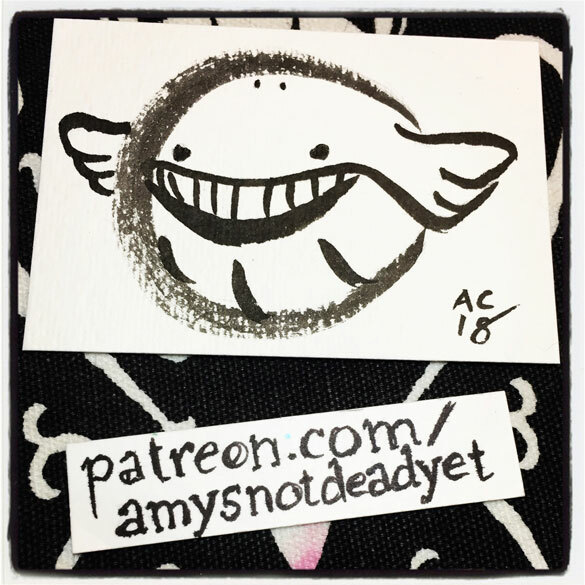 Whee. 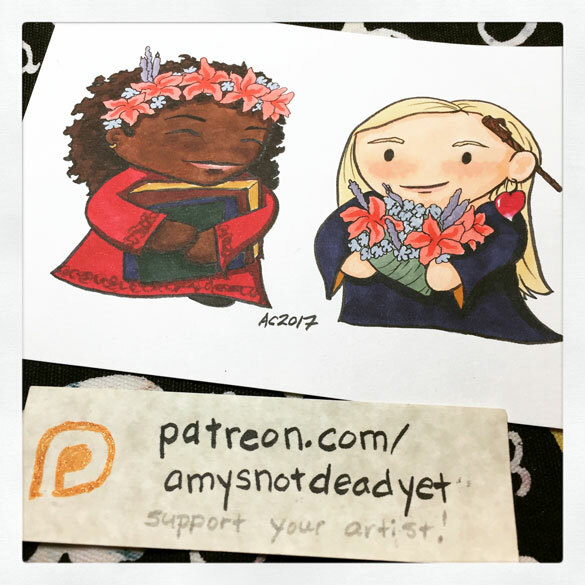 Want to see them as they’re posted? 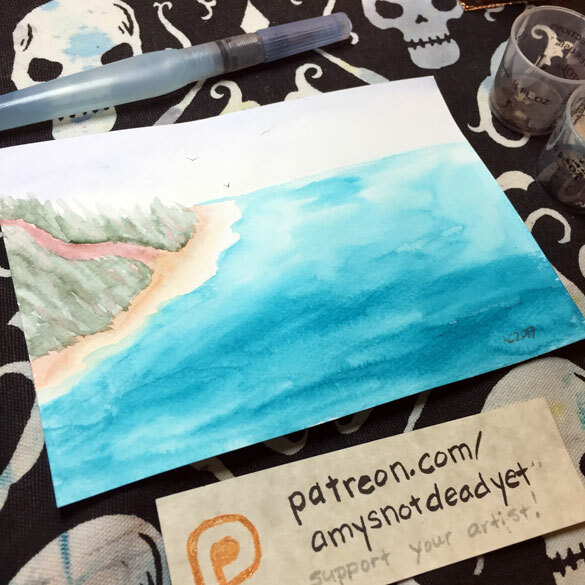 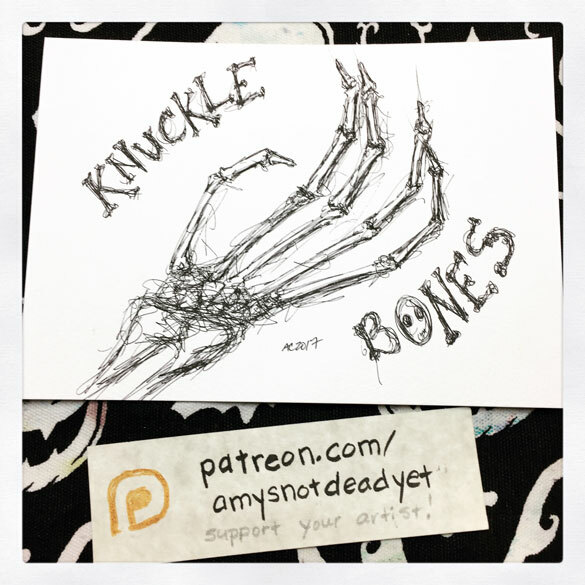 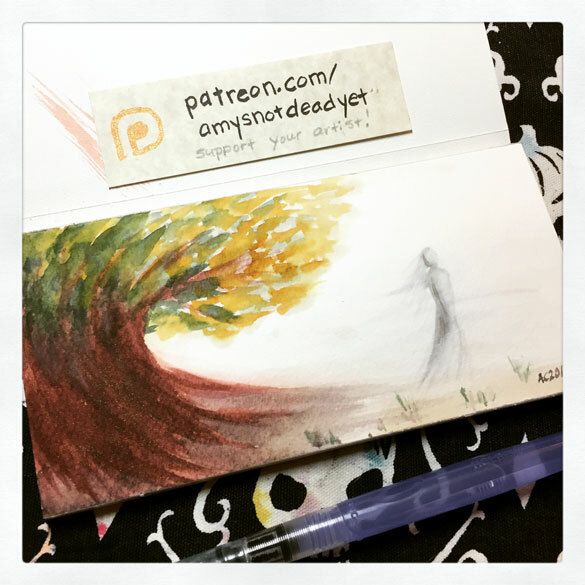 Follow me on Instagram or Patreon! 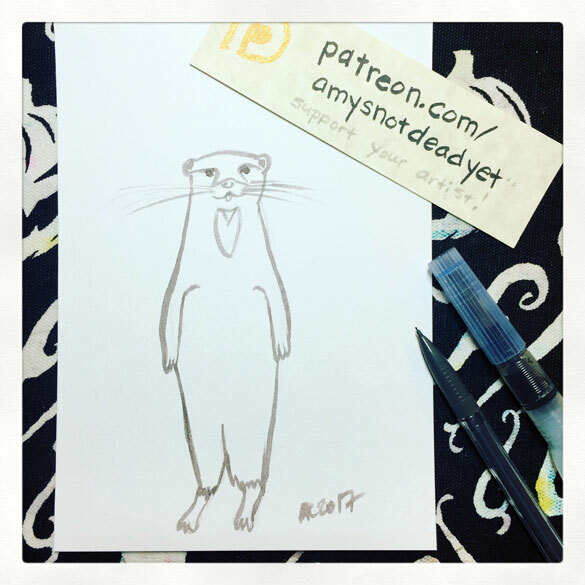 Inktober is still going! 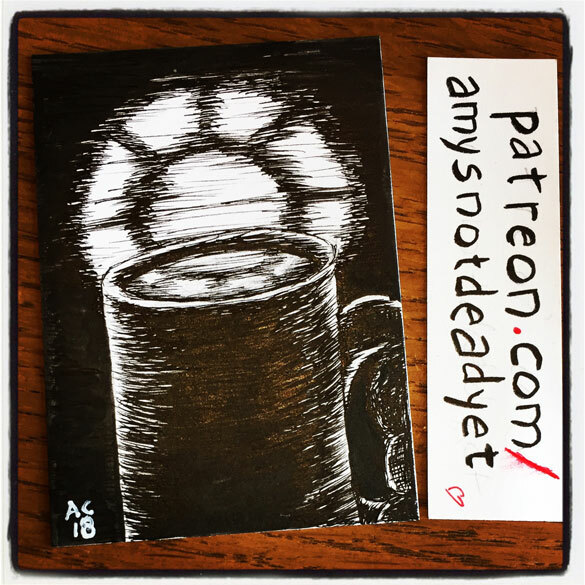 One ink drawing per day all month, often from prompts. 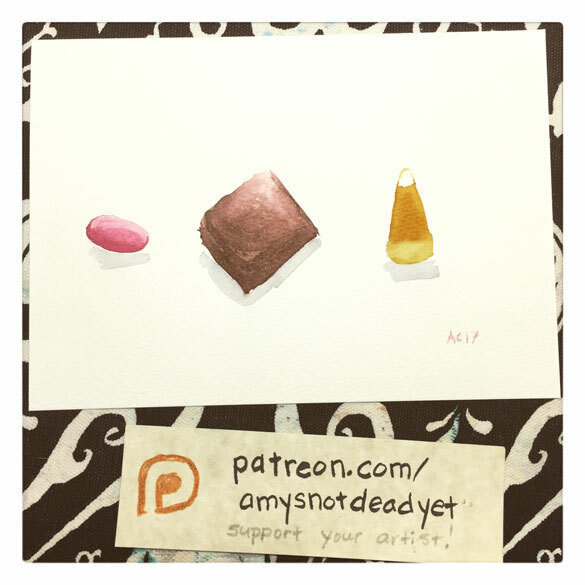 Getting caught up on the backlog still, so here’s week 2 of these little 2.5″x3.5″ cards. 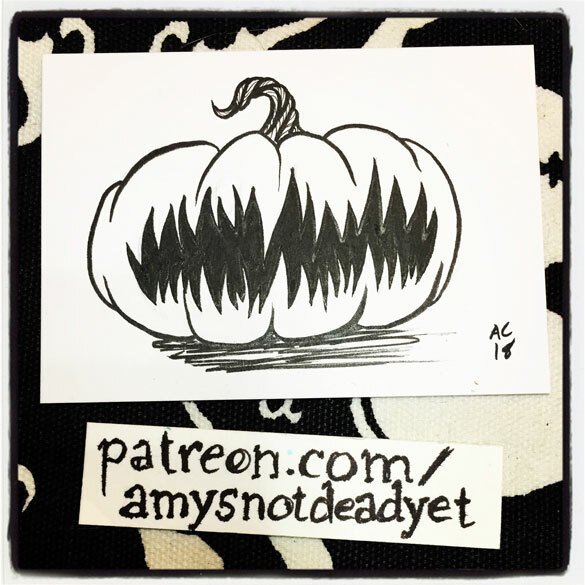 Autumn winds are blowing and fire season is almost over, which means not only October, Halloween, and Pumpkin Spice, but Inktober! 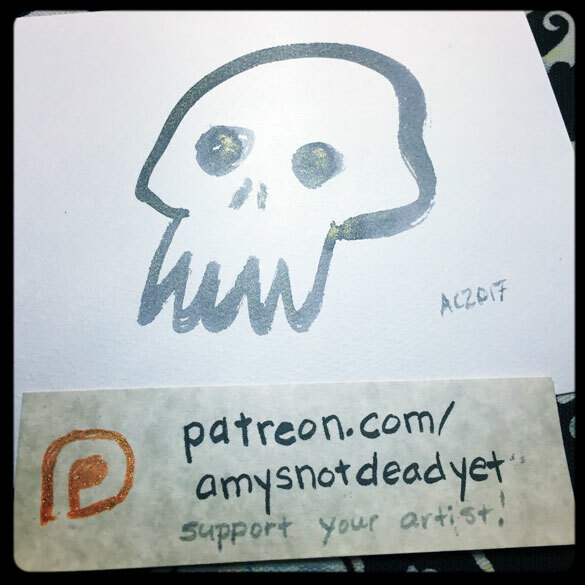 I’m doing one ink drawing per day all month, pulling from a number of prompt lists. 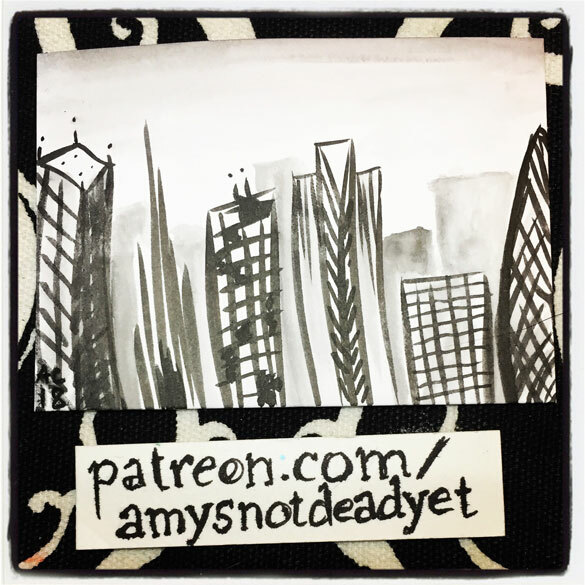 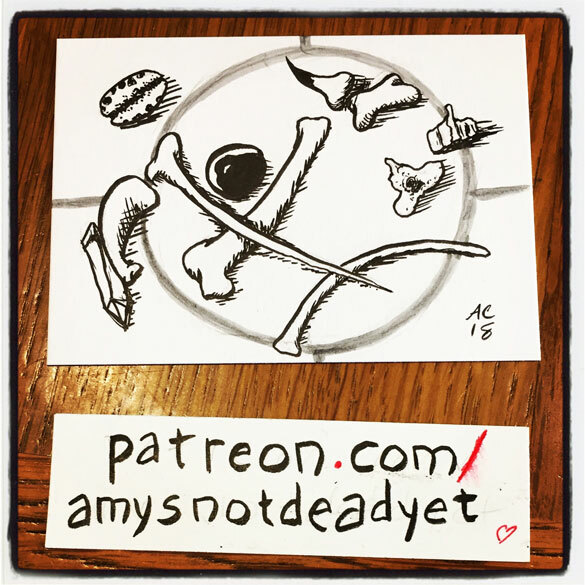 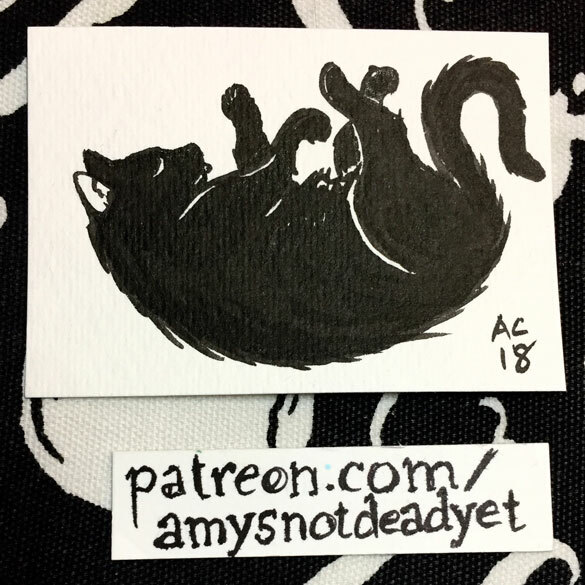 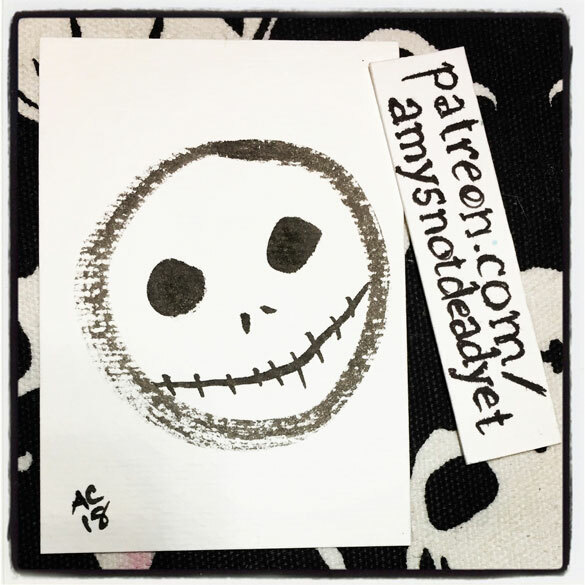 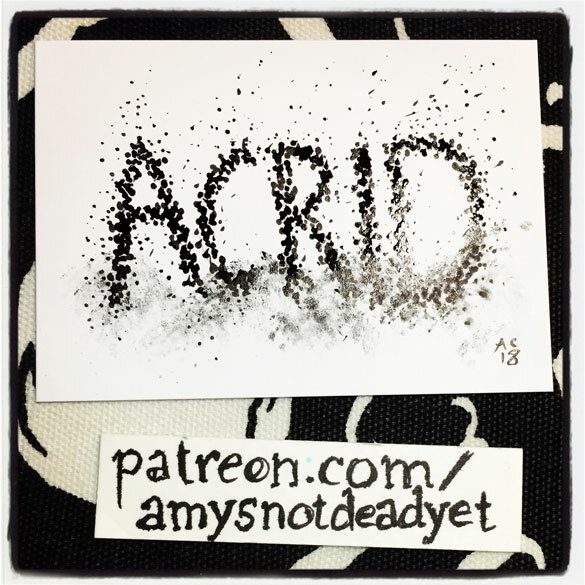 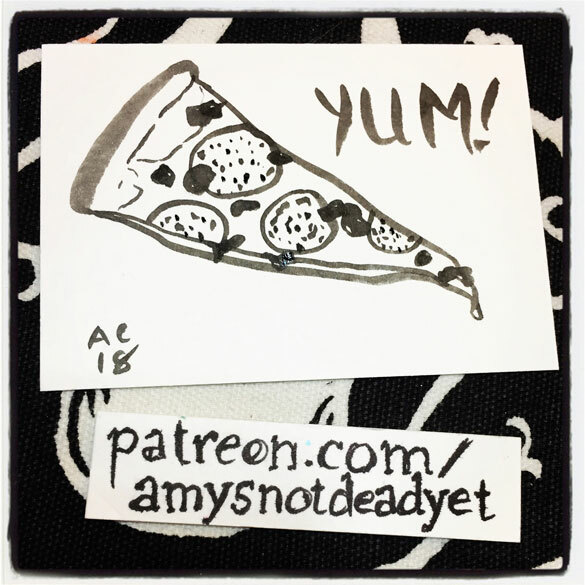 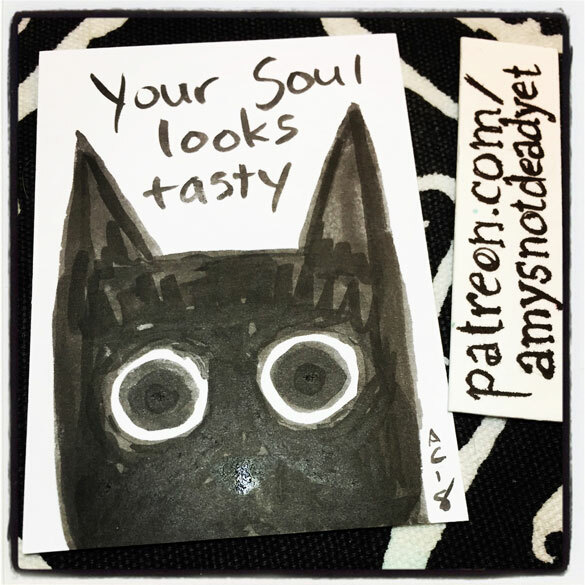 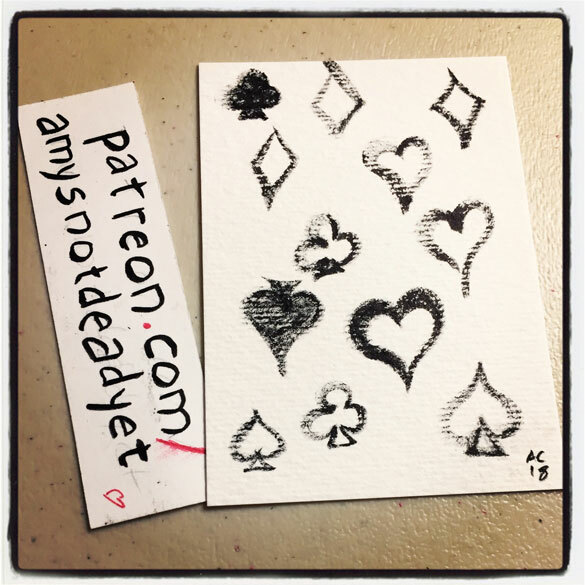 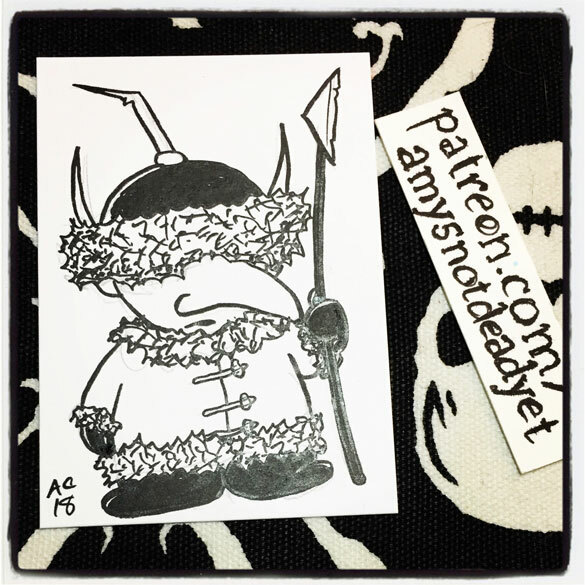 This year I’m doing everything in the Artist’s Trading Card size of 3.5″x2.5″ and sticking to black and white with the occasional cheat of grey. 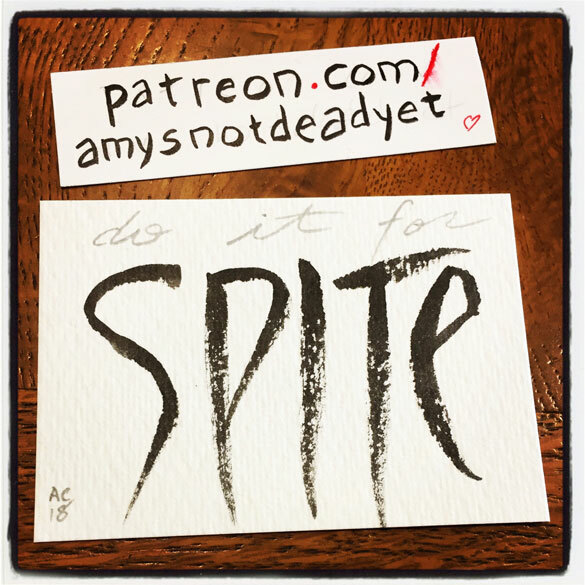 I can’t believe it’s already NaNoWriMo time. 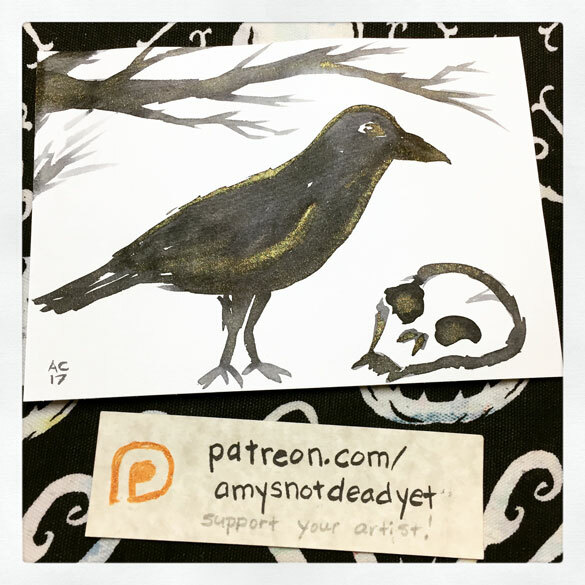 Here’s the final eclectic mix of commissions, Patron sketches, and spoopiness — next month I’ll be locked in a closet writing solarpunk, haha. 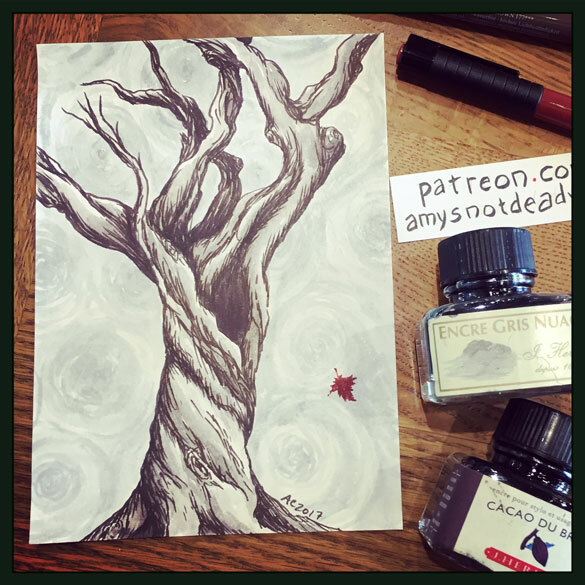 October marches on, and so do my pens and brushes. 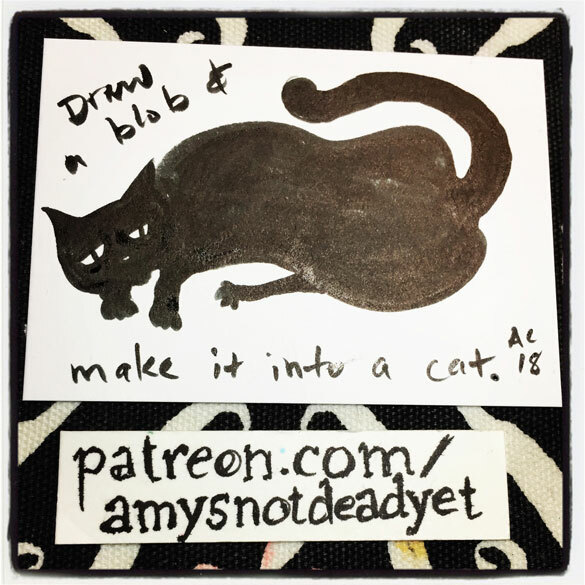 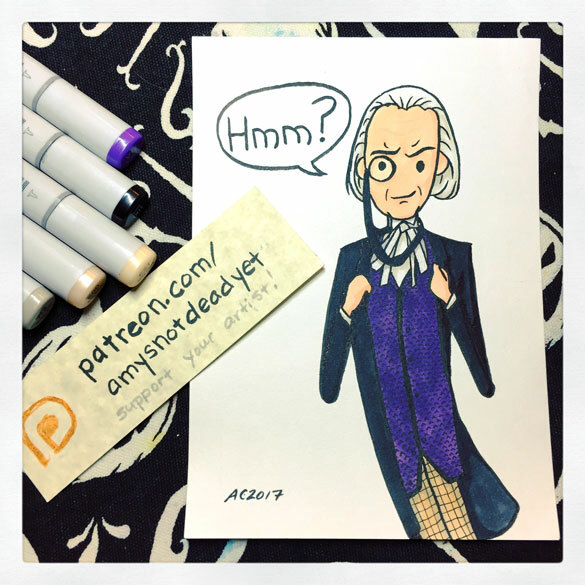 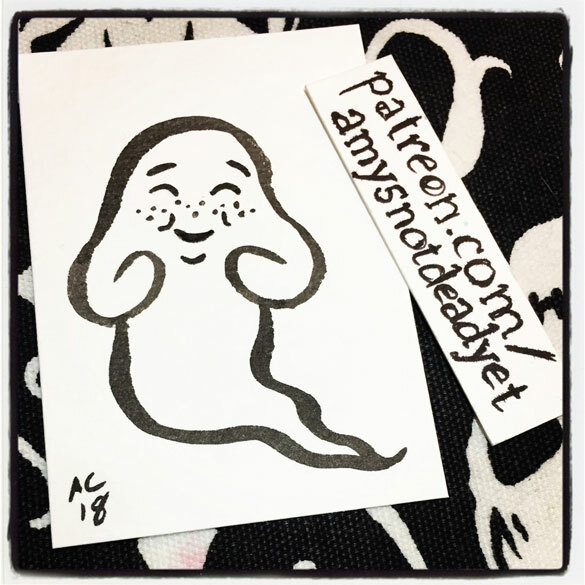 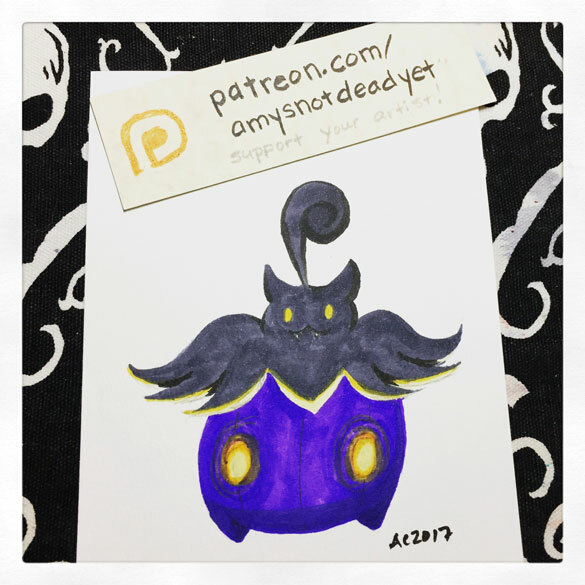 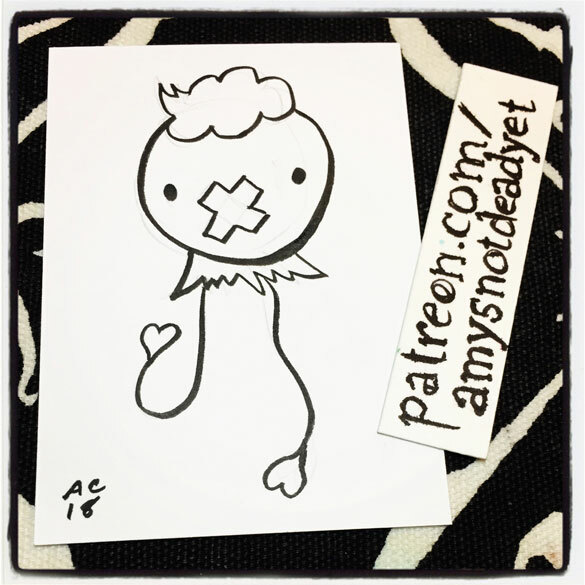 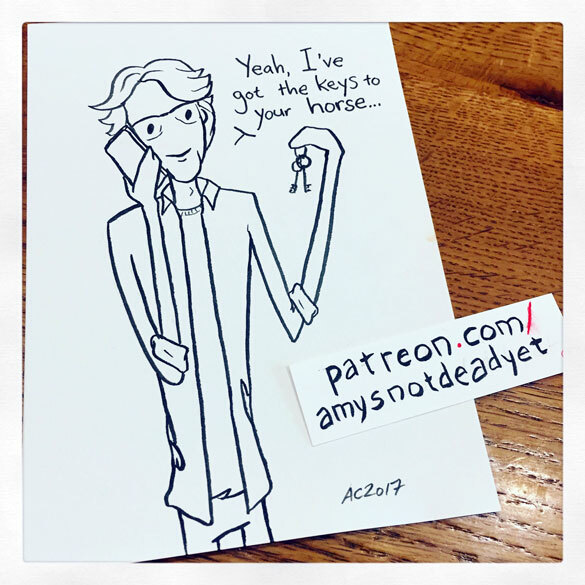 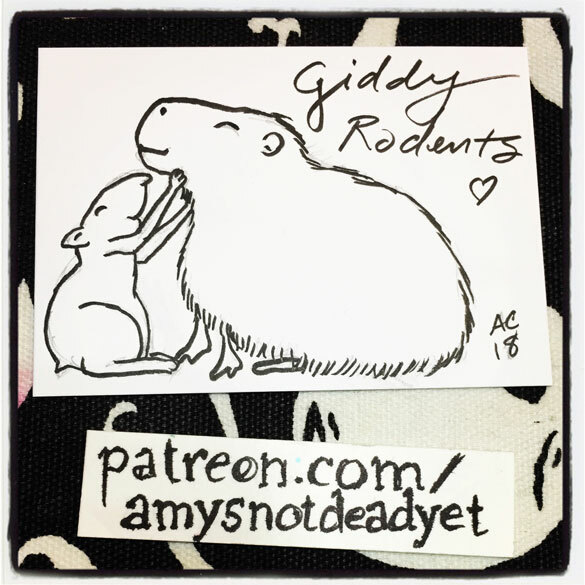 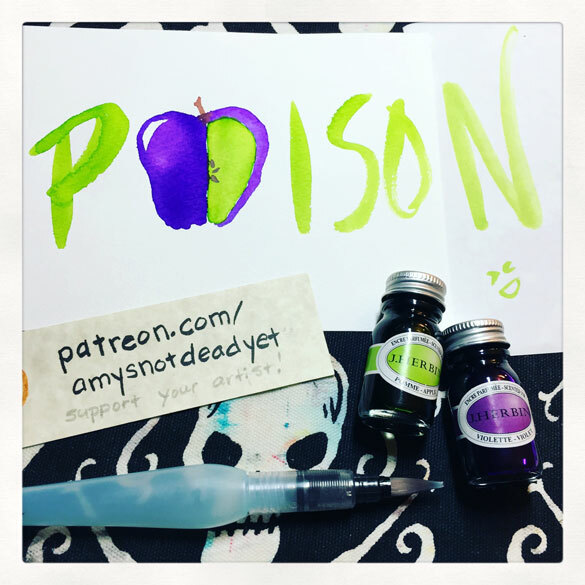 Enjoy this week’s mix of commissions, Patron sketches, and weird doodles!